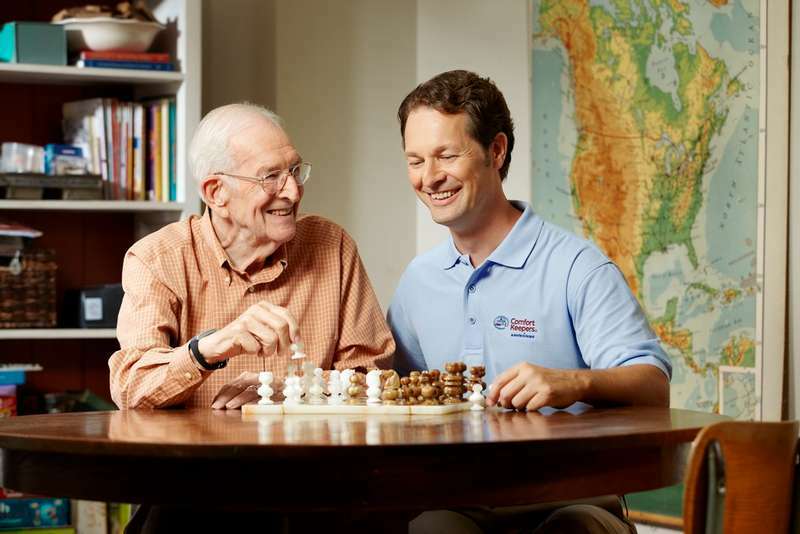 Comfort Keepers' breadth of services includes companionship and personal care services, light housekeeping and meal preparation, to more specialized services for those with dementia and end of life needs. We assist with transportation to and from doctor’s appointments, the grocery store, and the pharmacy. If more around the clock care is needed, Comfort Keepers does provide 24-hour or Live-In services. Comfort Keepers has been rated a “World- Class Franchise®” by The Franchise Research Institute® for 9 years in a row, recipient of Canadian Franchise Association Awards of Excellence and rated by the Canadian franchisees to receive the CFA Franchisees Choice award for 5 consecutive years. 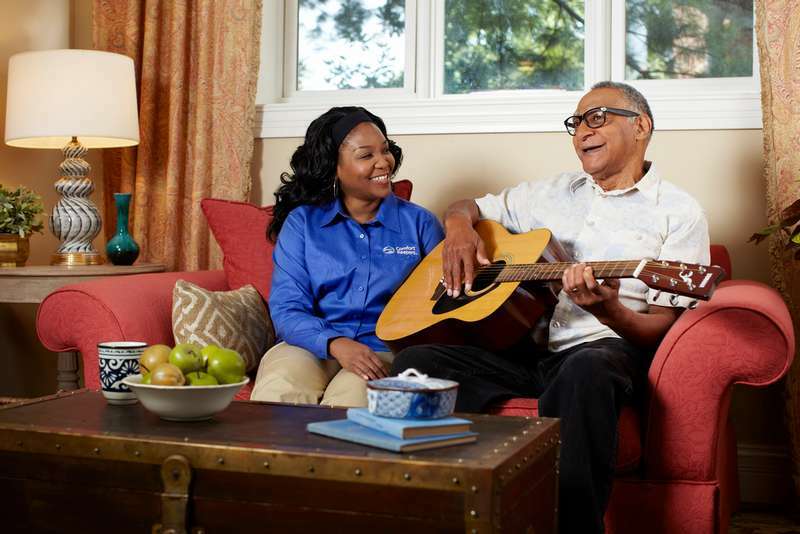 As an industry leader, Comfort Keepers is a superior choice for capitalizing on the rapidly growing senior care market thanks to its highly-regarded brand, unsurpassed operating system and tremendous support resources. Comfort Keepers franchisees experience satisfaction on a personal level by owning a business that truly makes a difference. Assisting elderly and other adults to remain in the comfort of their homes impacts both the client’s and their family’s quality of live. Is it the preferred choice when compared to going into a retirement or nursing home. Comfort Keepers franchisees are appreciated and respected members of the communities they serve. Watch as Lezlie Snoozy-Kaitfors, a franchise owner who was featured on Hallmark Channel’s Home & Family program, discusses the benefits of Interactive Caregiving™ and the difference Comfort Keepers can make in the lives of seniors. Our business model and continued support have helped grow our system to over 750 home care franchises in the North America and internationally. The Comfort Keepers brand has been in Canada since 2004 and in the US since 1999. You are able to capitalize on extensive experience. Comfort Keepers offers our franchisees an abundance of resources to grow their businesses. Our Franchise Support Center resources include Marketing (both traditional and digital), Client Care, HR, and technology support. We are constantly developing new programs, systems and tools to make our franchisees successful. Such programs as Interactive Care, Technology Products and high Operating Standards allow our franchisees to clearly differentiate themselves in the market in the eyes of the consumer. Our Comprehensive training for our new franchisees includes a five week curriculum prior to opening followed by on-going business coaching calls. Additionally, we provide continued training opportunities including: conferences, computer-based training sessions, webinars, conference calls and more. Please fill out a free information request to learn more about how the Comfort Keepers business model can offer you an opportunity to control your professional future and the potential financial rewards, while being personally satisfying as you help others.